The model and stand is approximately 14cm long and 10cm high. Limited Edition of only 7,510 produced worldwide with individually numbered certificate. 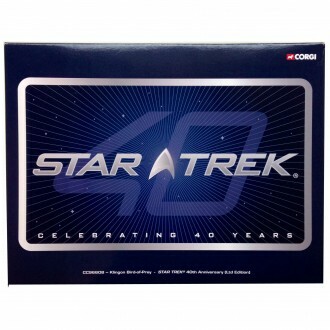 The model comes with a display stand which incorporates lighting effects and is complete with 'fold-out' presentation box which shows a potted history of the Federation Empire. Suberb polished raw casting of a fantastically detailed die-cast replica.